Two men from Mississippi are behind bars for drugs in Borger. At 2 a.m. Wednesday morning Borger Police made a traffic stop on 3rd Street. The officer used his training in highway drug interdiction to further the investigation, leading to the location and seizer of a felony amount of THC and marijuana. both men of Olive Branch, Mississippi, were arrested for possession of a controlled substance more than two grams under four grams, a second-degree felony, and possession of marijuana less than four ounces but more than or equal to five pounds, a state jail felony. Both were arraigned on $50,000 in total bonds and have since posted bond and were released. 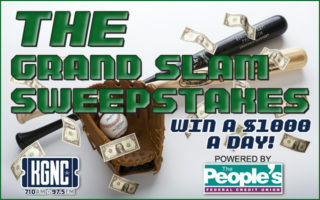 Morning Convenience Store Armed Robbery VIDEO NOW AVAILABLE The Grand Slam Sweepstakes Read The Mueller Report For Yourself Amarillo Education Foundation $10,000 Winner Dr. Eddie Sauer Talks About Growth Of The City And Work Of The Council In Run For Place 3 Seat Amarillo Crime Stoppers Looking For A Wanted Fugitive.